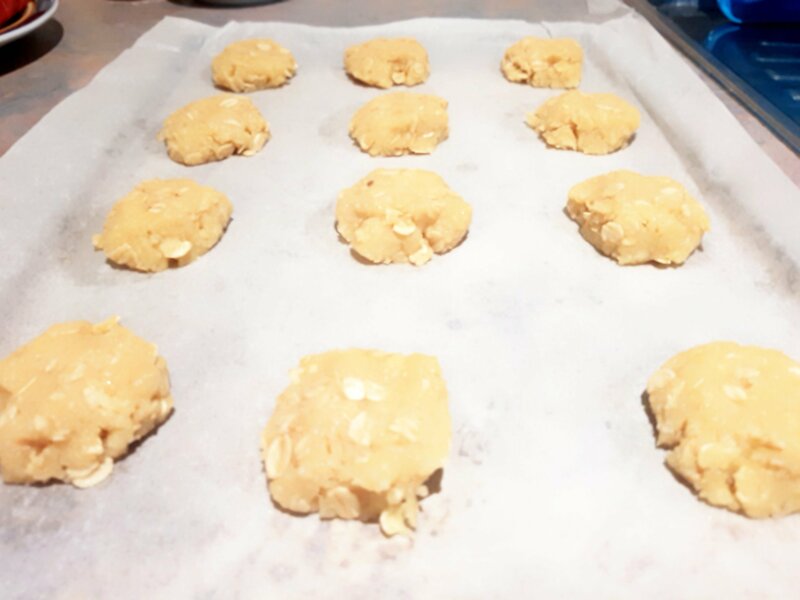 ANZAC BISCUITS RECIPE/ How to make anzac biscuits. This is Australian favourite biscuits of the year. ANZAC day is a day this biscuits are very popular in Australia in Australian stores. They are crunchy , crispy and very delicious. If you don’t eat eggs then these biscuits are for you. 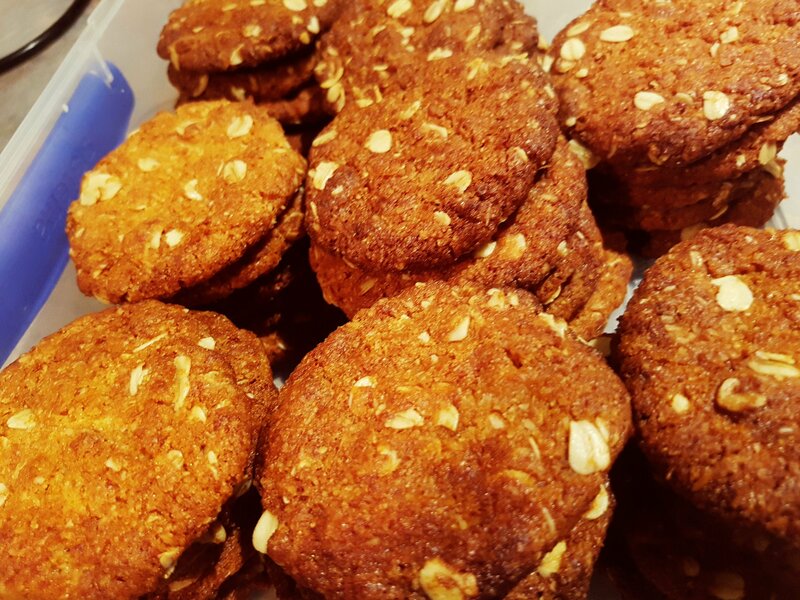 During the war world l these biscuits were made by the wives of of Australian and New Zealand Army corps (ANZAC)These troops were training in Egypt in 1915 Those wives made their recipe without eggs because they wanted it to last longer and not to spoil easily. So during their husbands maritime navigations these biscuits kept well and could get spoiled fast. 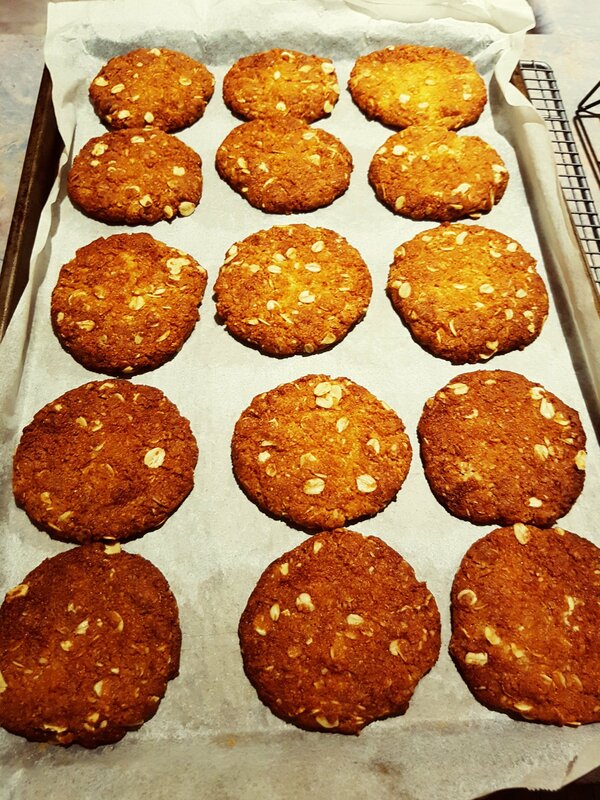 During the Anzac day parade in Australia this biscuits are made in Australian homes. I visited the battle field in waterloo in Belgium. 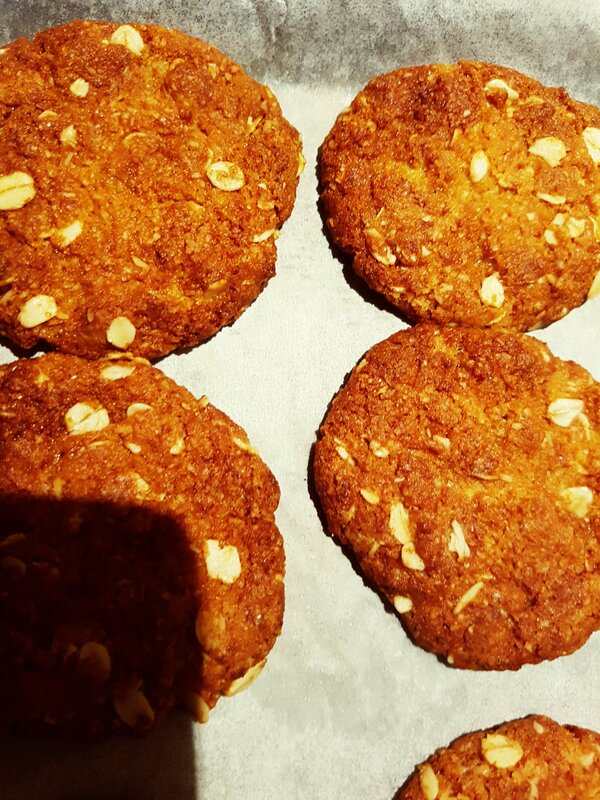 I saw historic statue of Belgian soldiers receiving these biscuits with oats in them. These niscuits are a soldiers biscuits. Preheat oven to 160 C / 140C fan – forced. 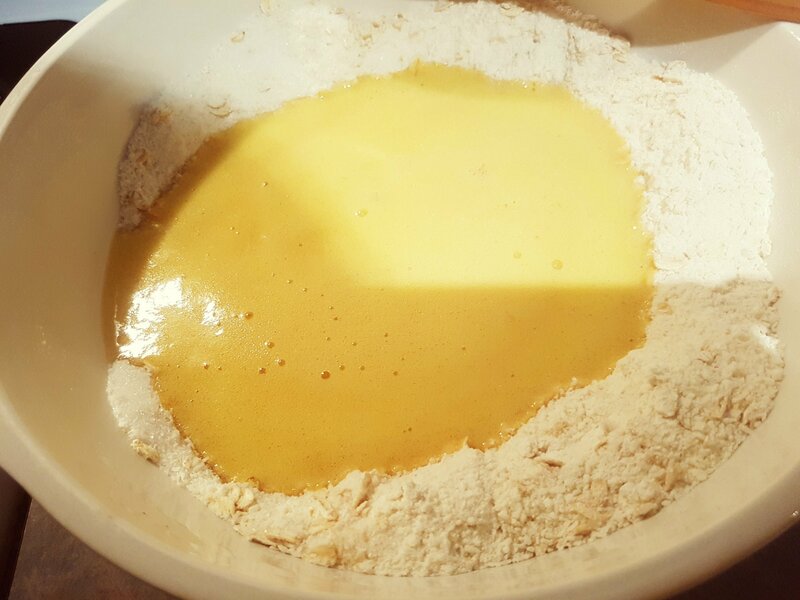 In a pot , melt 250 g of butter together with 2 tablespoons of golden syrop. 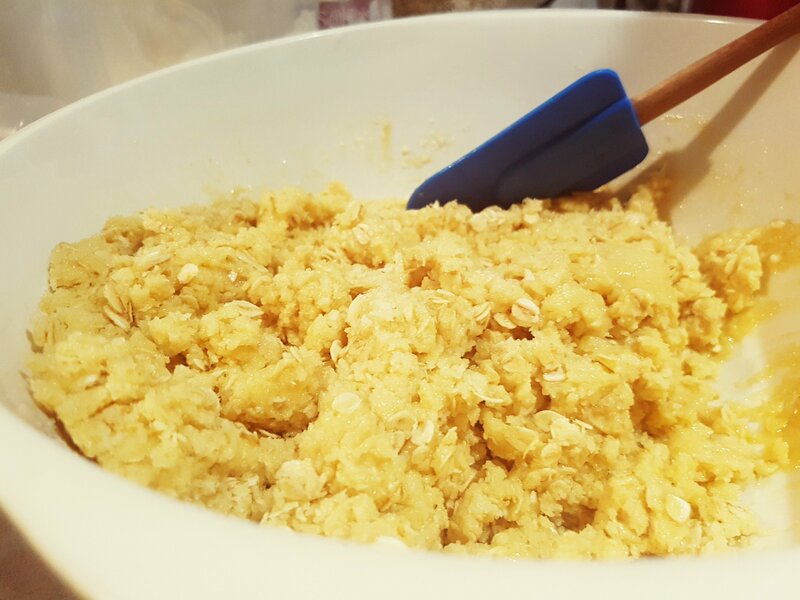 In a bowl, combine 2 cups of self raising flour with 2 cups of white sugar, 2 cups of rolled oats and 1.5 cups of coconut and mix properly. In a cup, put 2 tsp of bi- carbonate of soda, 4 tablespoons of boiling water and mix together properly, then pour in the pot of melted butter and golden syrop. Mix properly and mould in round shapes with fingers. Then line in baking trays 5cm apart on a baking paper. Press with palms to flatten them. Please click to this link and watch full video of this recipe. Don’t forget to subscribe. Next Post Omelette Muffins Recipe.